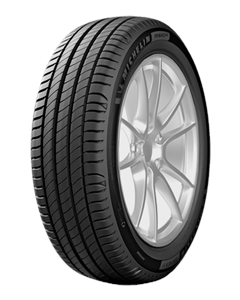 Thanks to a safety oriented new pattern design, MICHELIN Primacy 4 maintains a a high level of water clearance even when worn. Thanks to the latest generation high performance rubber compound, MICHELIN Primacy 4 is able to provide an outstanding wet braking performance, when new and even when worn, without compromising tyre longevity. To improve your MICHELIN Primacy 4 experience, a treadwear indicator helps you to identify when your tyres need changing.